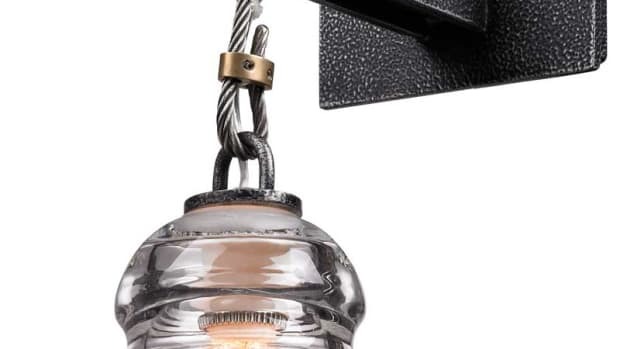 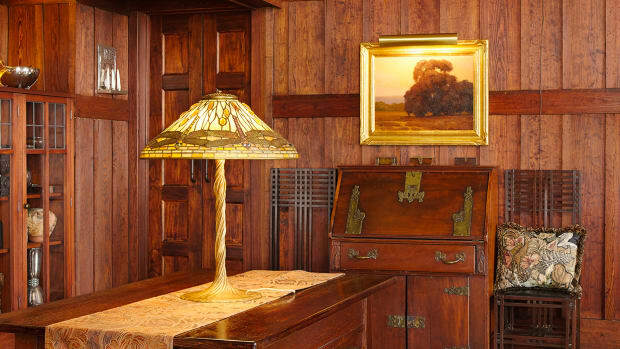 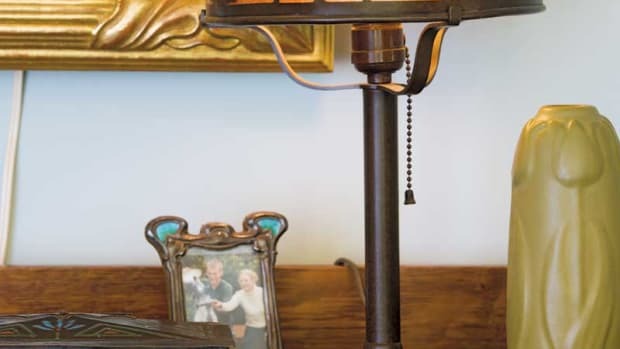 A look at lighting and hardware options for Arts & Crafts homes, including new and antique lighting fixtures, table lamps, exterior/porch lighting, lighting hardware, cabinet hardware, house numbers, metalwork and more. 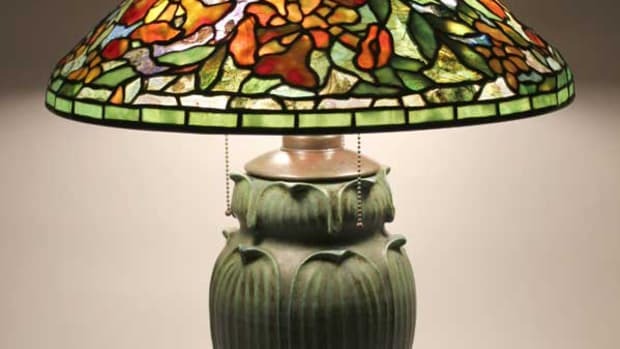 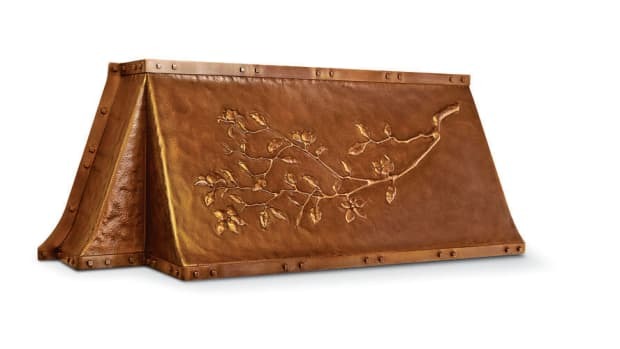 A resurgence of fine work brings us such useful and beautiful objects for the home as fireplace tools, stove hoods, garden gates, handsome lighting, metal art tiles, and tabletop wares. 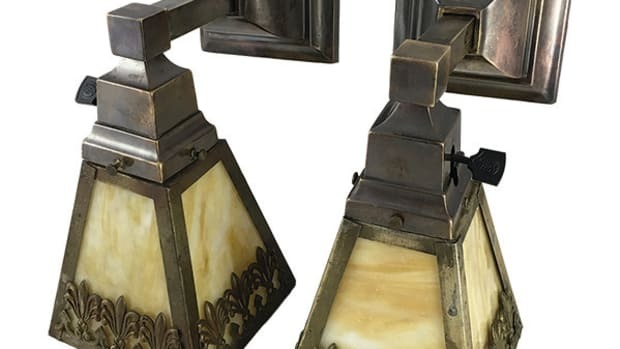 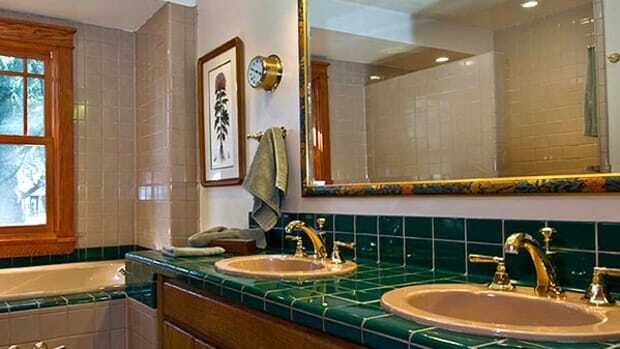 Even coated in grime and with broken glass, fixtures can be brought back to use and beauty. Finally, technology is catching up with aesthetics. 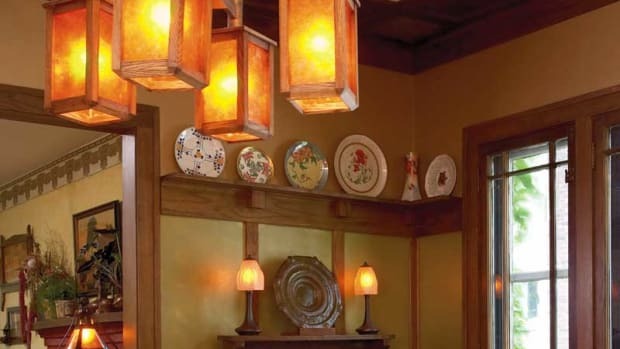 You can stop stockpiling energy-gobbling incandescent light bulbs. 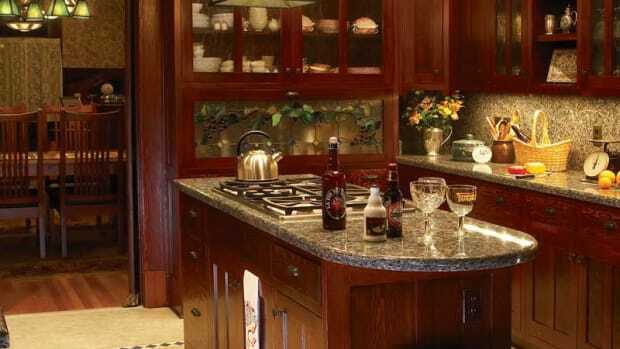 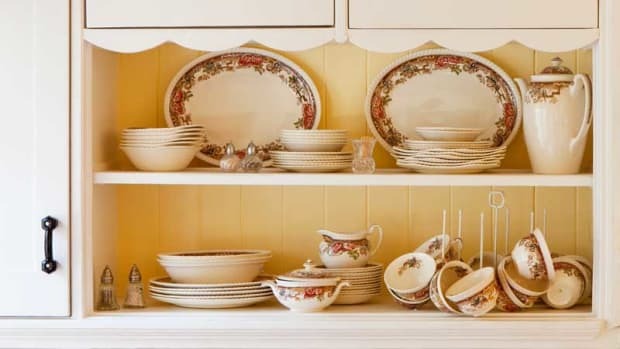 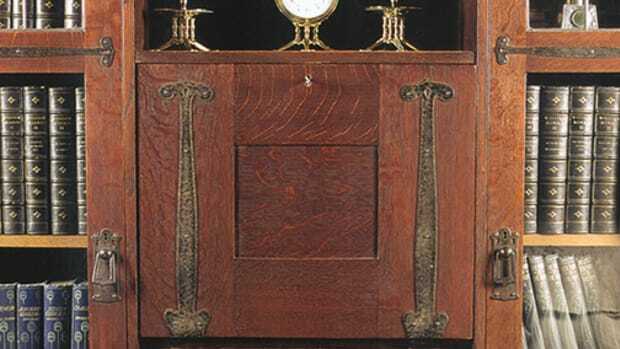 Yanked, pulled, slammed—the bits of metal, wood, and glass that allow drawers and doors on cabinets and furniture to operate smoothly at the touch of a hand are overlooked works of art. 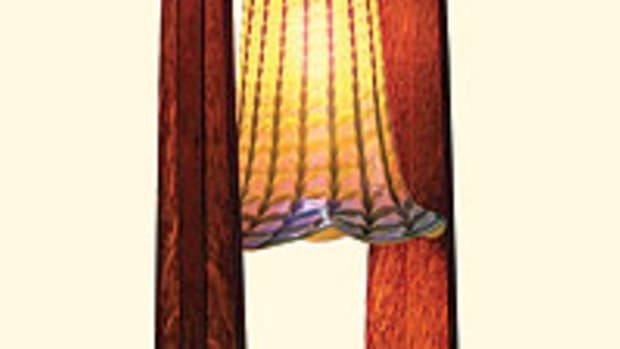 Recent work—table lamps and floor lamps—carefully chosen by the editors. 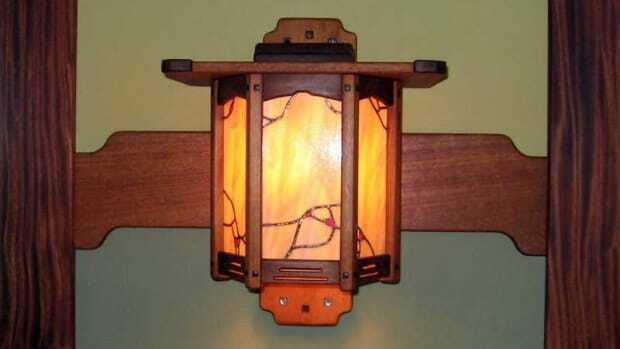 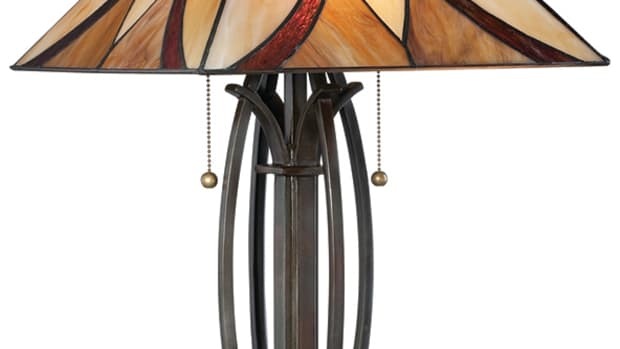 This Arts & Crafts lighting adds an artistic accent to any home. 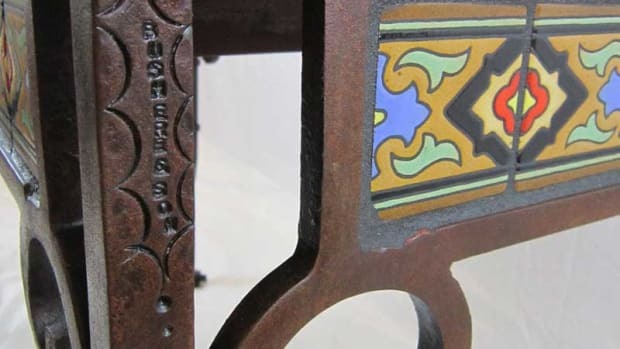 Hand-forged tables with signature motifs (like the Moustache scroll) are one specialty of father and son. 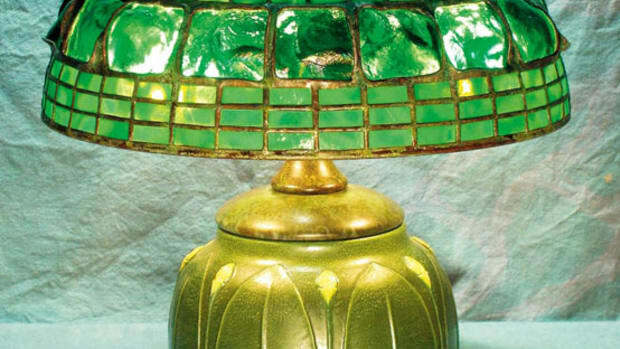 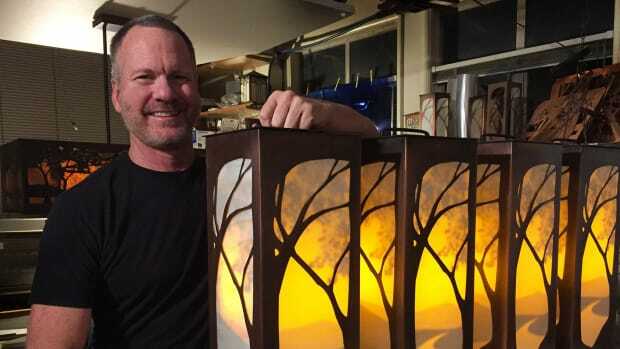 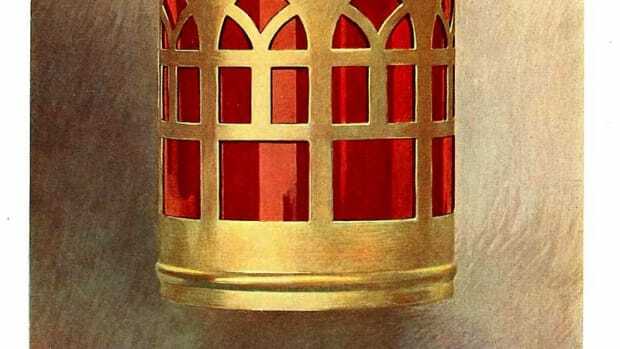 Artist Glenn Pankewich has been restoring, interpreting, and finding new inspiration in the art glass of a century ago. 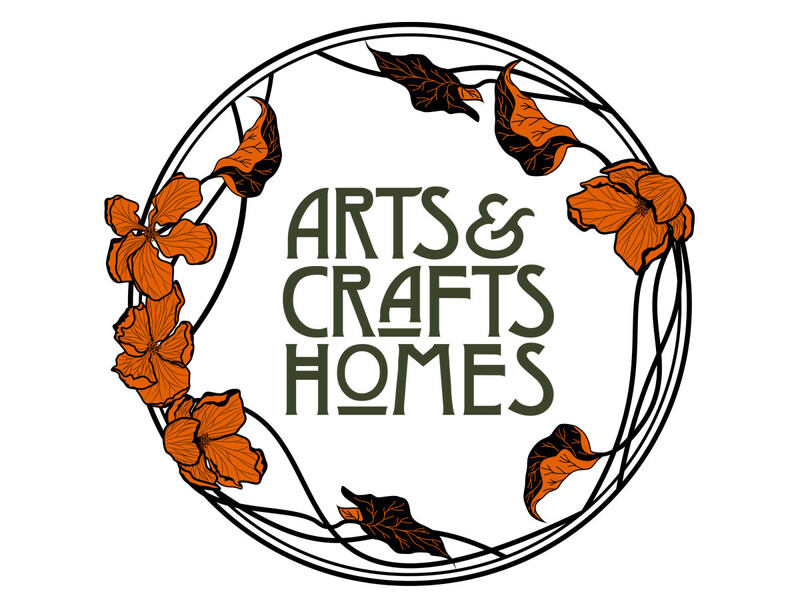 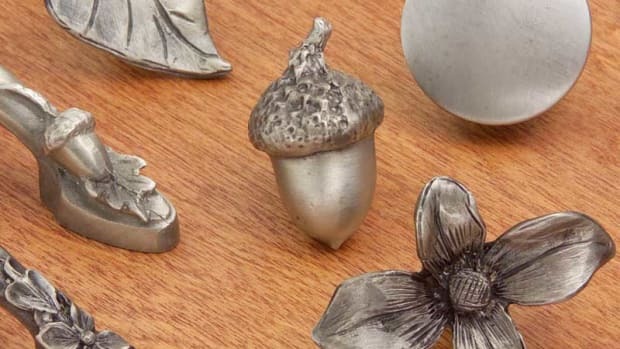 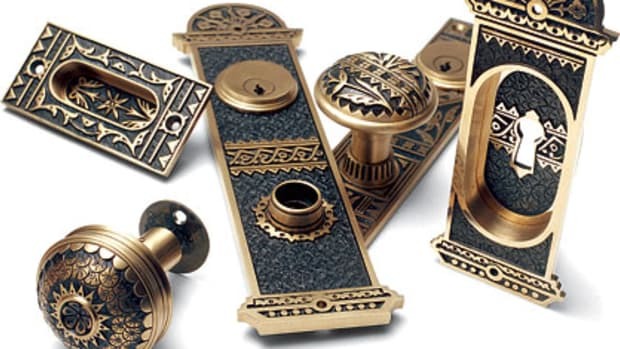 Browse a selective list of artists and manufacturers for Arts & Crafts-inspired hardware in brass and bronze, iron and steel, glass and ceramics. 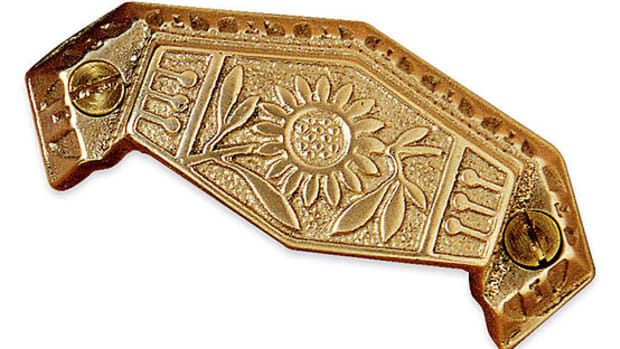 Also listed: Metal accessories from mailboxes and signs to fireplace tools.